Here at HubSpot, we’re committed to creating the world’s most lovable and collaborative CMS development experience. Over the past year, we’ve doubled-down on our CMS, making a lot of changes and improvements with ease-of-use and flexibility in mind. But if you’re new to our CMS, or any CMS, it takes time to get started. You need to dive into the tool, poke around to see what is and isn’t possible, establish a workflow that works for you, eventually get certified, and understand the resources available to you. Embarking on this journey of CMS mastery alone can be daunting. 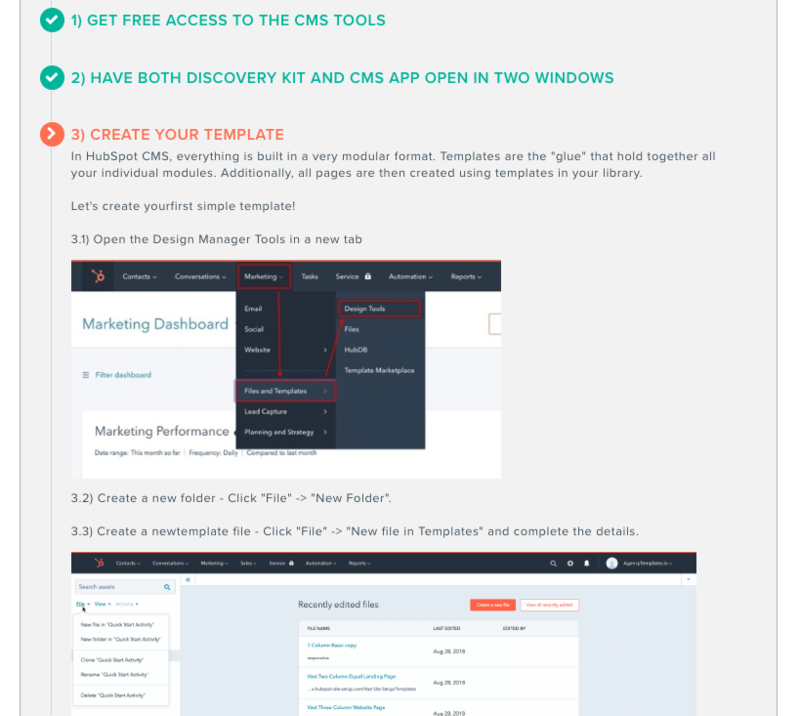 With that in mind, we’re proud to launch our Hubspot CMS Developer Discovery Kit - your quick-start guide for learning how to build and code on HubSpot CMS. 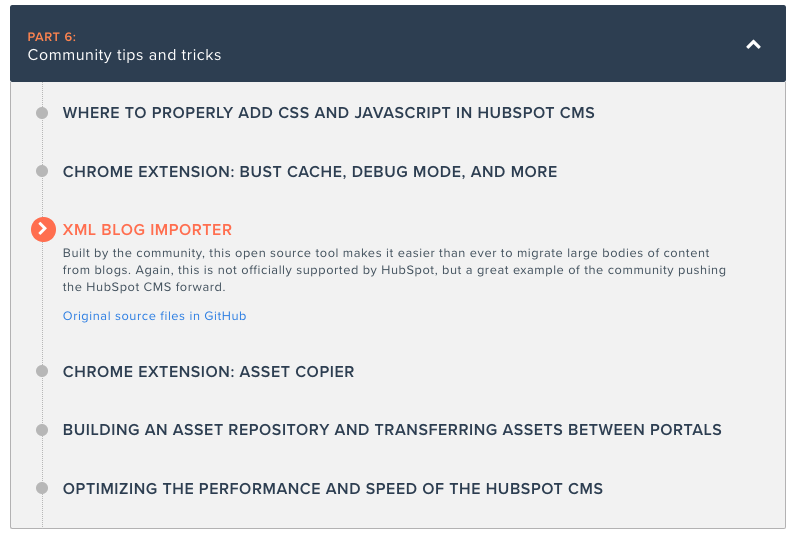 Whether you are new to the HubSpot CMS, or you’re hiring a new developer, the kit will help get you up and running in under an hour. Developers from a variety of backgrounds and industries work on the HubSpot CMS. Through our Discovery Kit, you’ll gain access to an active community of over 800 developers who are collaborating and sharing their own tricks for developing on the HubSpot CMS. This is an amazing place to get the technical support you need when starting up on the HubSpot CMS. 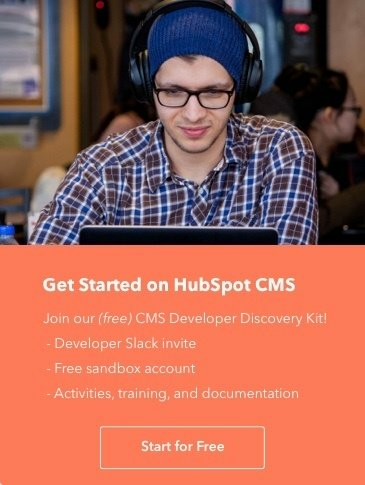 Even if you haven’t purchased HubSpot yet, you can still spin up a free CMS developer sandbox and get familiar with the tool. The Discovery Kit will help you set this up. This will be a full-feature CMS portal with no pre-existing data. It's your place to explore, trial-and-error, and learn. Additionally in your free developer sandbox portal, you can build modules and templates to push to other portals and/or to sell marketplace. You can even launch your new website from here by upgrading to a paid plan. Creating a workflow begins with understanding how everything in the CMS works, and where it’s all located. With the guided setup and a quick-start activity included in the Discovery Kit, you don’t have to worry about wasting time as you get up to speed on the new tool. All of our tools are extensively documented, but how do you sift through all the documentation we have to find exactly what you need? The Discovery Kit surfaces the most relevant resources so you can easily find an answer to any of your questions. Luke wakes up each morning excited to help others unlock their potential. 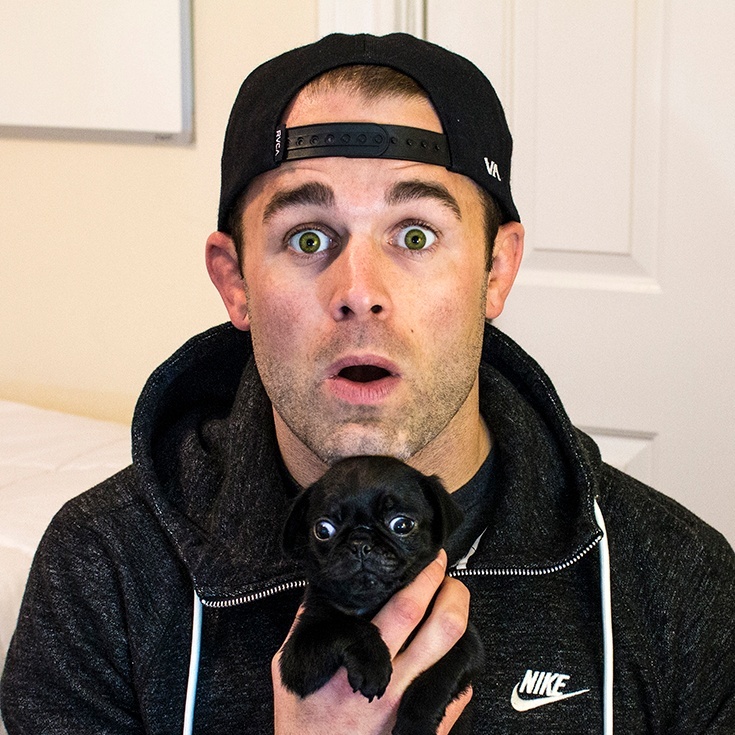 He does this at HubSpot as the CMS Developer Advocate and founder of Growth-Driven Design.